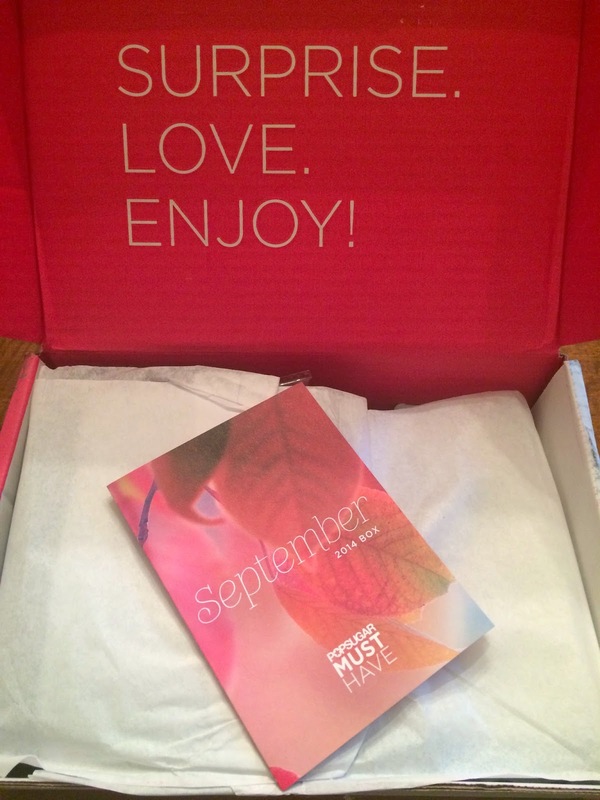 I received my September Popsugar Must Have box this week. I looked at spoilers and wasn't too thrilled with this box. I was hoping I would like the items better in person. The inspiration for the September box was autumn leaves, long walks, new tunes, back to school, fashion week, and football. And here is a look inside. 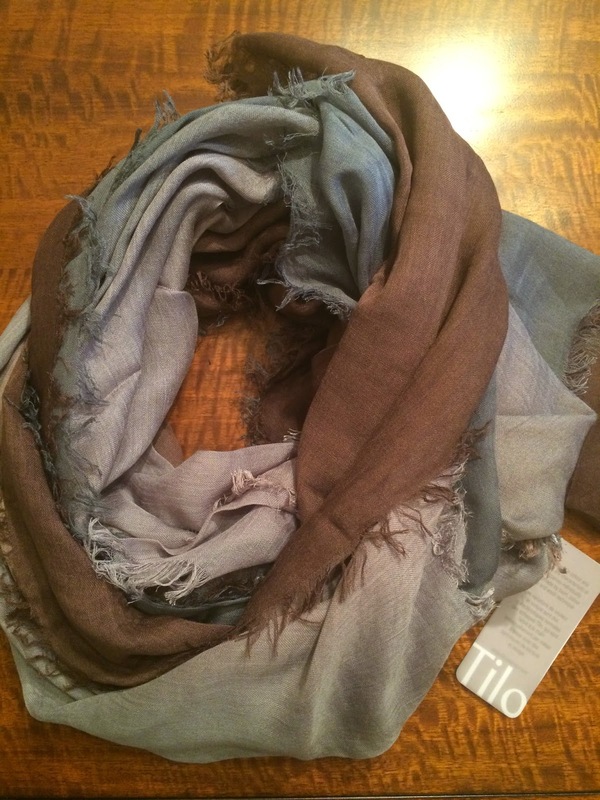 The star of the box was the Tilo Modal Gradation Scarf in Raisin that retails for $125. I really like the scarf. The color is great for fall! But, I'm so tired of getting scarves. I have lots and I wear them, but it's rare. I'd love to see some different fashion items in some of these boxes. I'm really over scarves for awhile. Of course, I'll wear it, because it's beautiful, but just wish they would have sent something different and unique for fall. What would be your dream item to see in a subscription box??? 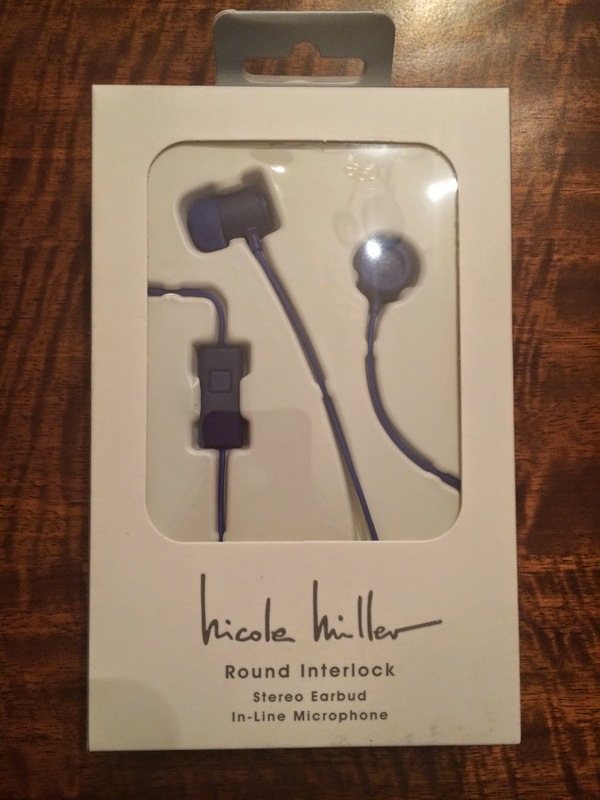 I also received Nicole Miller Stereo Earbuds. These are a fun blue color, but I really do not need any more earbuds. Fortunately, for my niece, she was just asking for some, and I remembered I was getting these, so these will go to her. I'm happy they will go to good use and I'm sure she'll love them! Ok, this next item looked plain gross when I pulled it out of the box. I mean the packaging was nice, but I thought, no way am I eating that. 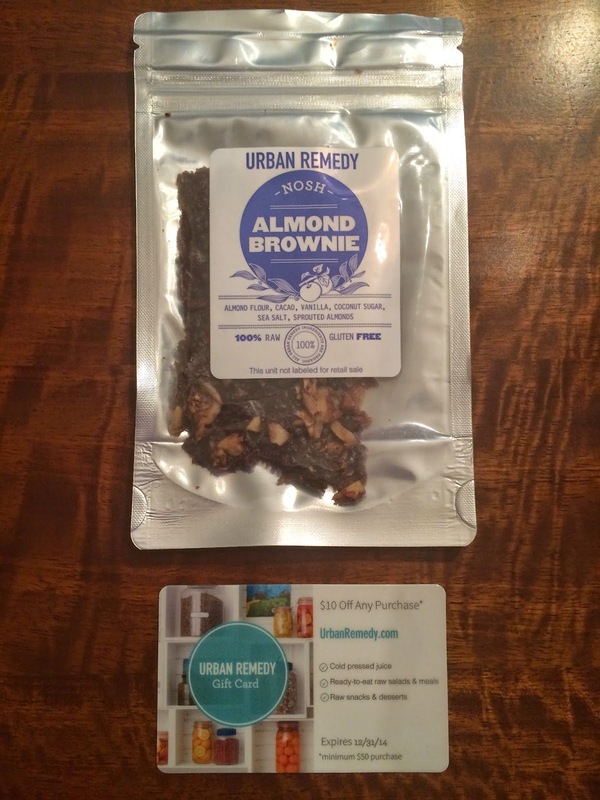 It was an Almond Brownie by Urban Remedy. Right before writing this review, I thought I should try it to give it a fair review, so I tried it and it seriously was delicious! I'm not kidding, I really liked it. It's 100% organic and tasted good! I'm not sure it'd be for everyone, because it's not your normal brownie texture or flavor or shape, but I really loved it and therefore will probably also use the gift card to buy more or browse for other goodies. 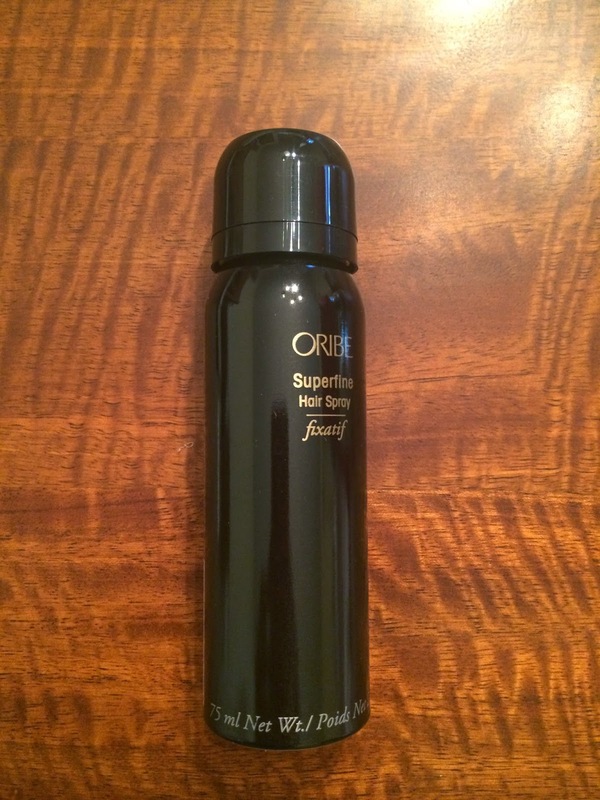 I also received Oribe Superfine Purse Size Hair Spray. I do like other products I've tried from this brand, but I don't tend to use hairspray, so this probably won't get much use. I haven't tried it either, so I don't have too much to say about it. 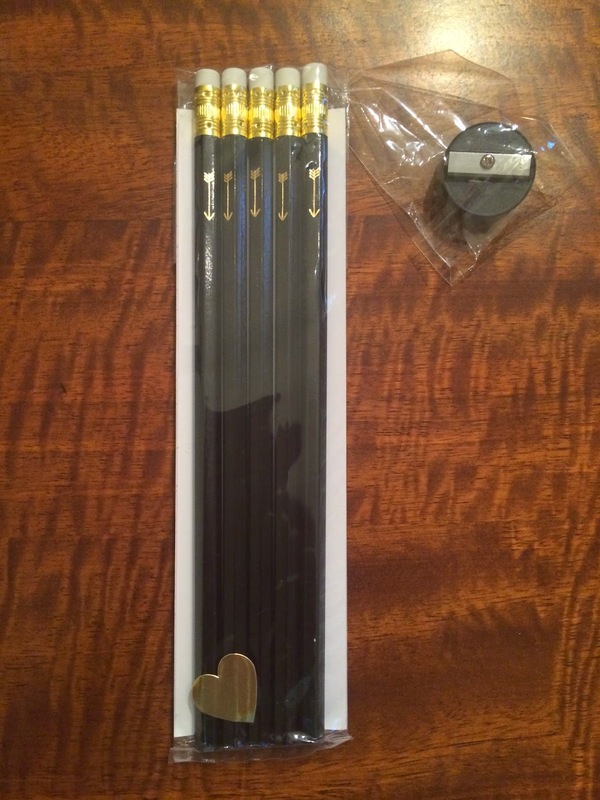 I understand why Popsugar Must Have included the Letter C Design Gold Foil Arrow Pencils, because they go with the back to school theme for September, but to be honest, I probably will not use these and am really struggling to think of someone I could gift them to that would enjoy them. I love that they came with a pencil sharpener. And maybe I'll try to use them, if I ever need a pencil! They are a cute design, just not sure it was something I needed or will use. 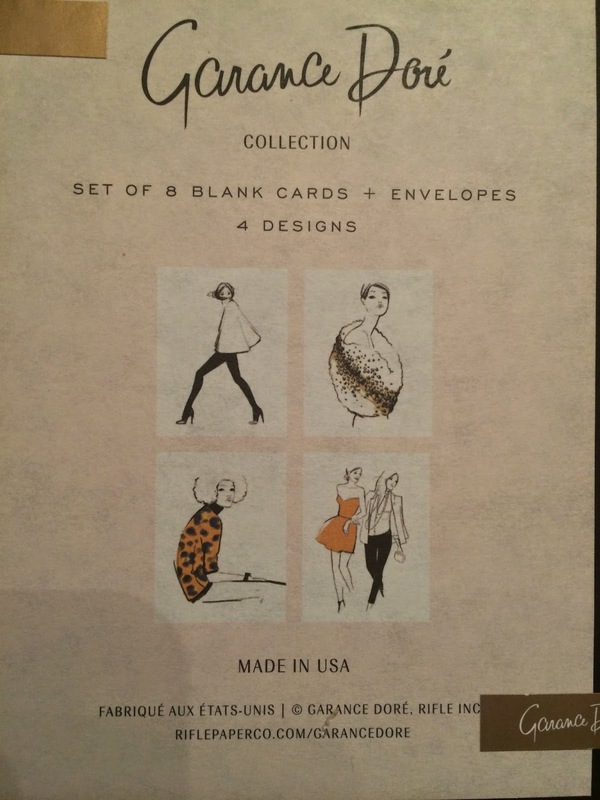 The Rifle Paper Co Garance Dore Assorted Girls Card Set was my favorite item in this month's box! I love the designs and I will use these!!! I would have loved Popsugar Must Have to include some cute colored pens or markers to use with them instead of the pencils. 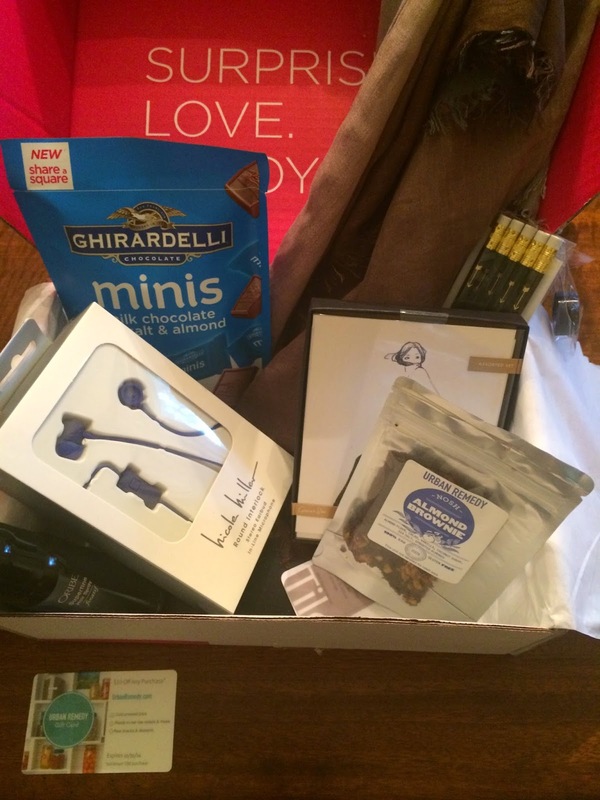 Popsugar Must Have also included a couple Special Extras in this month's box. The first was a $20 Nike Gift Card to promote the Nike Pro Bra. I will have to check it out to see if the gift card is worth using. I didn't take a picture of the gift card. 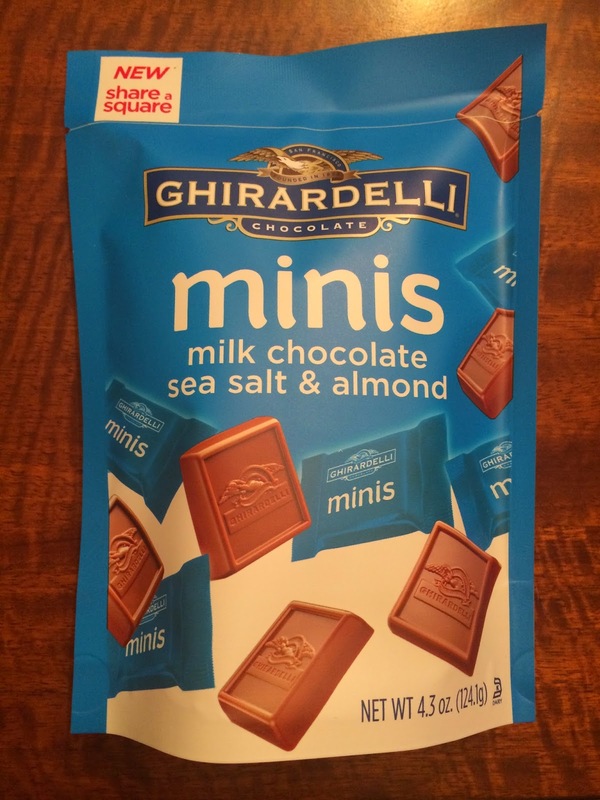 The other special extra was Ghiradelli Milk Chocolate Sea Salt & Almond Minis. I love these! After seeing everything in person, I'm not too excited about this month's box. 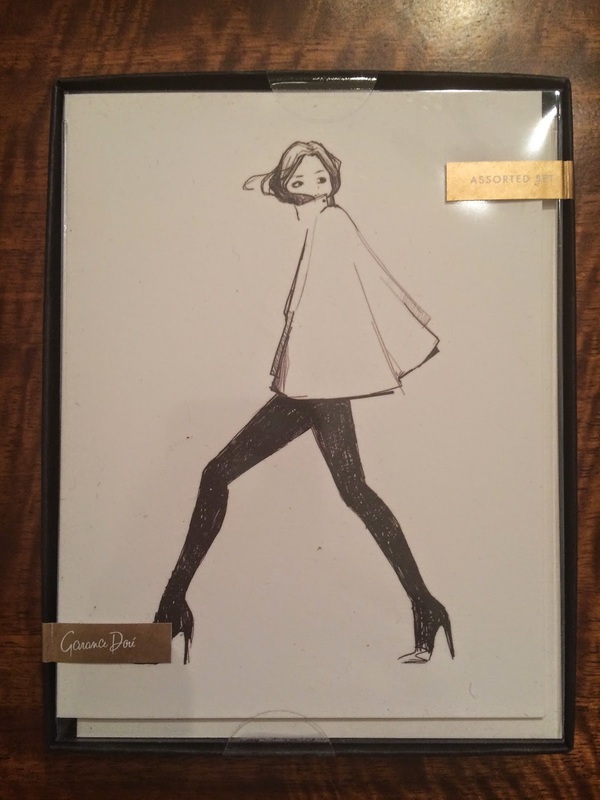 There are a few things I will use and everything seems to be good quality and the items in the box far exceeded the cost, but it just wasn't for me. I'm hoping October will be better! I actually began subscribing to Popsugar Must Have in October of last year and that was one of my favorite boxes, so we'll see how it compares to this year.